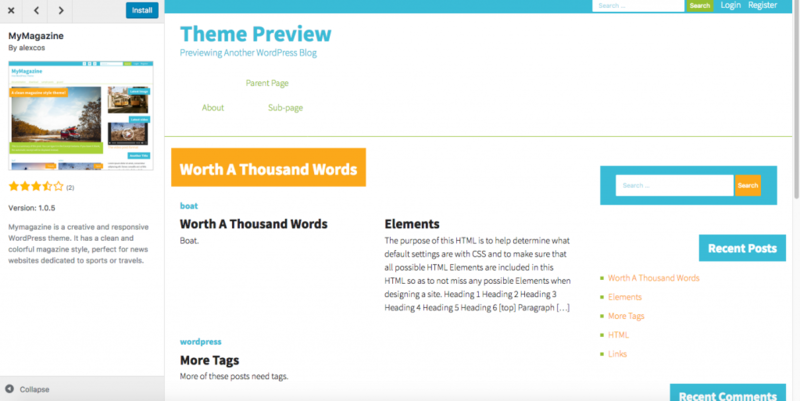 A WordPress theme provides the overall style of your WordPress site. Many people think of it as a template, or a skin. It usually influences fonts, colours, page layouts, and sometimes much much more. 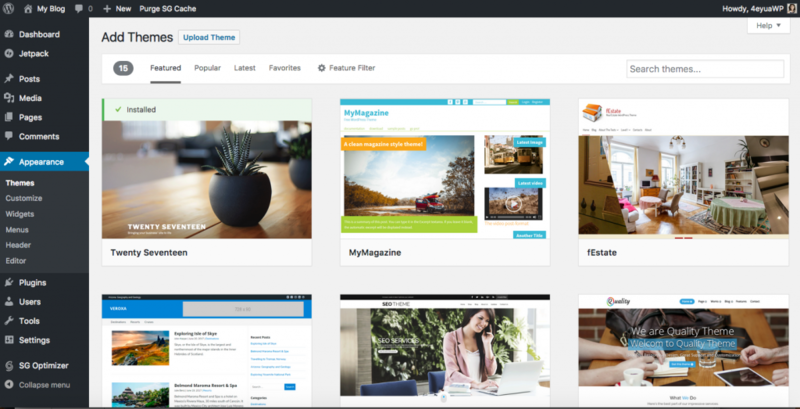 There are literally thousands of free themes to choose from in the WordPress Theme Directory and many of these are very good, and can provide a good springboard for your first site. There is also the option to use a premium theme, and I choose to use these because they often (although not always) have reliable code, and offer a good support forum for questions you may come up against during the build process (eg. how do I change the colour of my navigational text), or if something goes wrong. As with everything I sign up to, I try out the support mechanism before I purchase or commit. I talk more about what you should look out for in WordPress themes in a post which I wrote earlier this year, so head over and read some of the factors that should influence your decision. In summary though, the fact that WordPress is used in such a broad range of industries, means that themes cater to vastly different markets. It therefore follows that the theme you choose should be relevant to your industry/audience. You can imagine that a theme designed to sell children’s books, may be totally inappropriate for an upmarket restaurant. Or a theme created with a business coach in mind, may be wholly unsuitable for a dog training organisation. Many WordPress themes come with a huge array of customisation options. Whilst appealing, these options may mean that it can be difficult to switch themes in the future, or to even use some plugins as they add complexity to the code. Other themes that look terrific can slow your site down tremendously which may not only adversely affect the user experience, but can also impact your ranking on search engines. With that being said, and you have an understanding of how important this choice is for you, I’m going to focus on how you install a WordPress theme. Here, you will see the currently active theme in the top left window of the page. You can select Add New to be taken to the index of free WordPress themes which you can scroll through. When you’re selecting a theme, you can filter them by Featured, Popular, Latest and Favourites. It brings up a choice of several themes in each category. Hovering over the thumbnail of a theme gives you an option to Preview it, or install it. Clicking the option to Preview, brings up more information about the theme, as well as reviews. 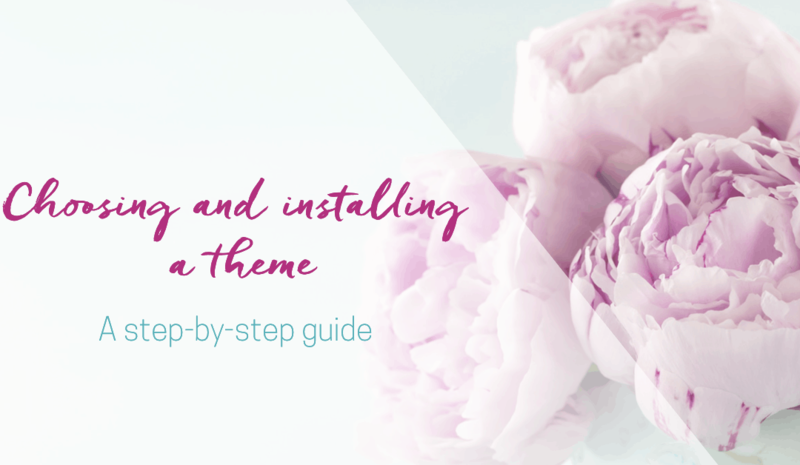 When you choose to install a theme, you need to activate it for it to become the active theme. When changing the theme, you should go back to the front end of your website, and see what the effect has been, as it will impact the whole style of your site. Again, go to Add New, but this time, instead of choosing one of the themes available in the directory, you are going to Upload Theme. When you purchased your theme, you should have been given the option to download a zipped folder with the theme files. It is this zipped folder that you upload. Simply navigate to the zipped folder on your hard drive, and click on Install Now. Remember to activate it once it is installed. There are many many premium themes which you can choose from. I choose to use Divi because it is so robust, offers fantastic flexibility of layout, and the updates are easy to maintain. This last point is really critical. I have worked with themes before where I have had to manually reinstall the updates, and not only is it time-consuming, there’s always a worry about it overwriting any customisations I have made. It should never be a concern, as I always use a child theme, but I still always find it slightly hair-raising. Divi is a premium theme, so it does involve an investment, but for anyone who values their time, and wants to create a website which is easy for them to maintain, is going to work well for them from the outset, and has fabulous support, this is a great choice. Today, your task is to choose, install and activate a WordPress theme on your site! 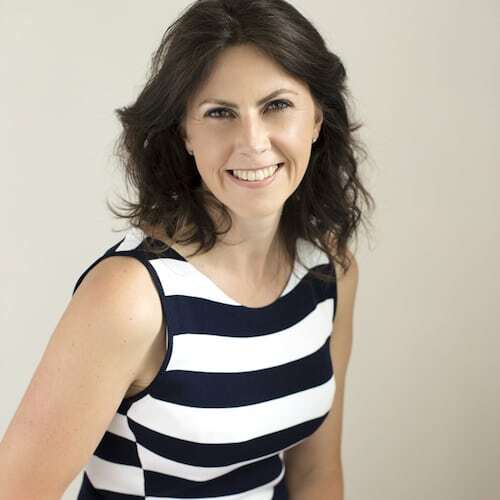 If you’re feeling totally overwhelmed with your choice of theme, and are wanting more tailored advice as to what could work best for you, you can apply for a free 30-minute Website Jumpstart session with me.